So you have neglected your old self-hosted WordPress blog and now you want to dust it off and start blogging once again. But you have forgotten the username and password and the email address associated with the blog is no longer active. So when you try the ‘Lost Your Password’ link on the WordPress login page the new password is getting sent into oblivion. Well, there are ways to fix this and one is to reset the password in your database and that can be cumbersome and confusing. This WordPress guide will show you how to change the email address in the database associated with your WordPress Guide. 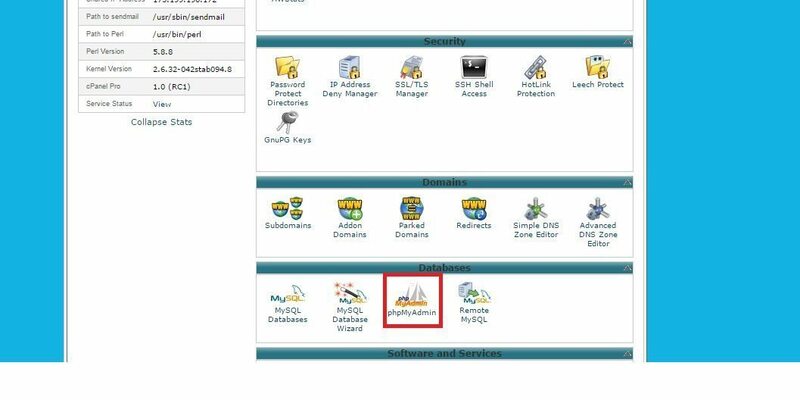 Hopefully, you can still login to your hosting account and get to the phpMyAdmin panel. Once in the phpMyAdmin panel click the drop down box to view the database associated with your WordPress blog. Next, click the Users link, note the prefix (wp_) in front of the Users link may be different than shown here. Next, click the Browse link on top of the Users info shown. Now find the user that is the administrator of the blog. It’s usually the admin account but your blog account may differ. Click the pencil icon on the left of the account to open it. Now simply change the email address associated with the account. Make sure the save radio button is ticked, and then click Go to change the email address. Now you should have successfully changed the WordPress email address and should be able to use the lost password link to receive a new password. I know you may be wondering, as you are looking at the password in the database, why not just change that? Well if you notice it is encrypted and depending on what version of WordPress you are using depends on how to generate a new MD5 password. Some may need to use an MD5 hash generator to generate a new password in an MD5 format.